Mercy and Rosaline guilty of distributing religious material. Hindu activists surrounded them and handed them over to the police. The police did not find the Christians in possession of religious materials. Article 25 of the Constitution guarantees freedom of religion. Mumbai (AsiaNews) - In Karnataka, two Pentecostal Christians were arrested by the police on charges of forced conversions. The women, Mercy and Roselina, are followers of the "New Life" community. The nationalist radicals claim they visited the houses of local Hindus to distribute the religious material of their organization and proselytize. Speaking to AsiaNews Sajan K George, president of the Global Council of Indian Christians (Gcic), complains: "The Gcic condemns the detention of the two Christians, who are not involved in any criminal or illegal activity." According to the Christian leader, the women "were doing only what the Constitution, Article 25, guarantees. The police did not find them in possession of prohibited or dangerous material, weapons, or anti-national texts. There were no complaints from those to whom the sermons were addressed. No hate speech or complaints of forced conversions ". The arrest of the two women took place on September 5 in the village of Kavalapadoor, in Bantwal Taluk, in the Dakshina district of Kachada. According to Hindu activists, the Christians visited six Hindu houses, when men were not in the house. Then they distributed texts published by "New Life" and tried to convert those present. Having heard of the incident, some Hindu activists came to the scene and blocked the two women. In their view, they did not provide convincing reasons to justify their presence in the houses. At that point the activists "escorted" them to the police station. The agents questioned the Pentecostal Christians. Later, after having found them without any religious material, the women were released. But with a warning: do not try to convert. Sajan K George is complaining of a growing "intolerance towards the Christian faith. The renewed audacity of extreme right-wing groups is a serious threat to democratic India. Based on simple suspicions, nationalist activists capture, interrogate, and intimidate Pentecostal Christians. On the contrary, women were not doing anything illegal. 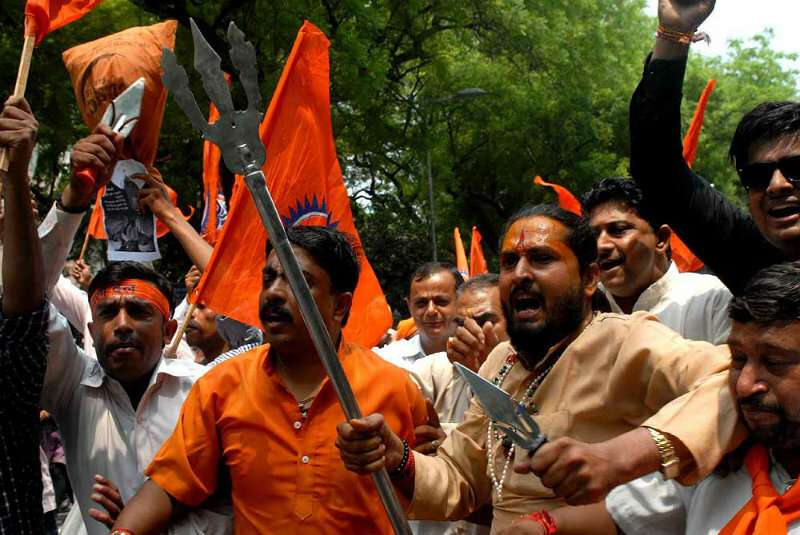 Increasing religious intolerance is taking violent forms in India. I am proof of 'Gau Rakshas' (cow watchers, ndr) or vigilantes, who also question what people are eating. "